Before I had a baby, I knew I wanted to use Grobags and as soon as my baby was big enough she started sleeping in her 0-6 months Grobags. 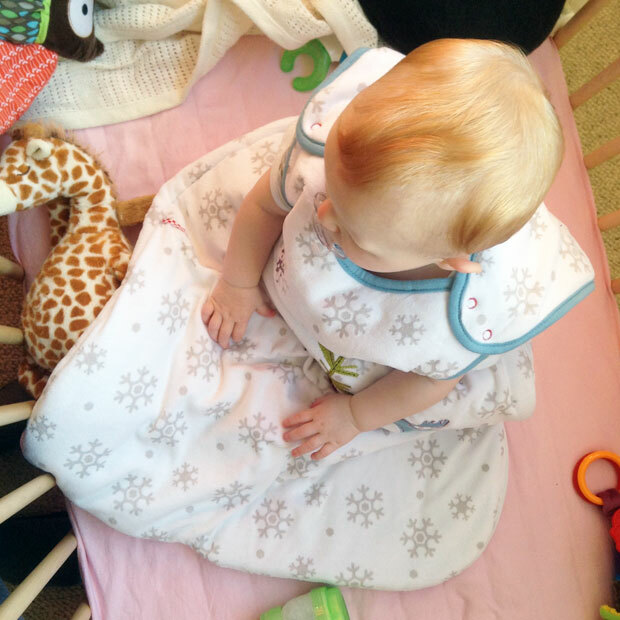 It is much safer to use baby sleeping bags than it is to use quilts, they keep babies at a nice temperature the whole night through and it becomes part of the bedtime routine snuggling into a comfortable Grobag. This winter we are trying the warmest Grobag available: the 3.5 tog one for cold temperatures. Our house can be very cold in the winter and if we use a 2.5 tog sleeping bag we have to use a blanket too, to keep our daughter warm enough. Time for a 3.5 tog Grobag! 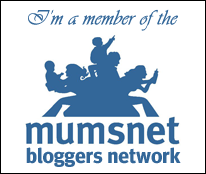 There are helpful guides to which tog to use when and what your baby should wear in addition to his/her sleeping bag on the Grobag website. Babies are not all the same though, so remember to check your baby’s temperature too, to make sure he/she is not too hot or too cold. A good way of doing this is by touching his/her chest. My daughter is nearly 11 months old but she is still a bit too small for the 6-18 month Baby Grobag that we were sent. She’s on the smaller side but within the weight limits for the bag, but her head can still fit through the neck hole. It should fit her better in a couple of months or so. We have still tried the Grobag for naps when I’m in the same room and we love it. It is such a lovely bag! 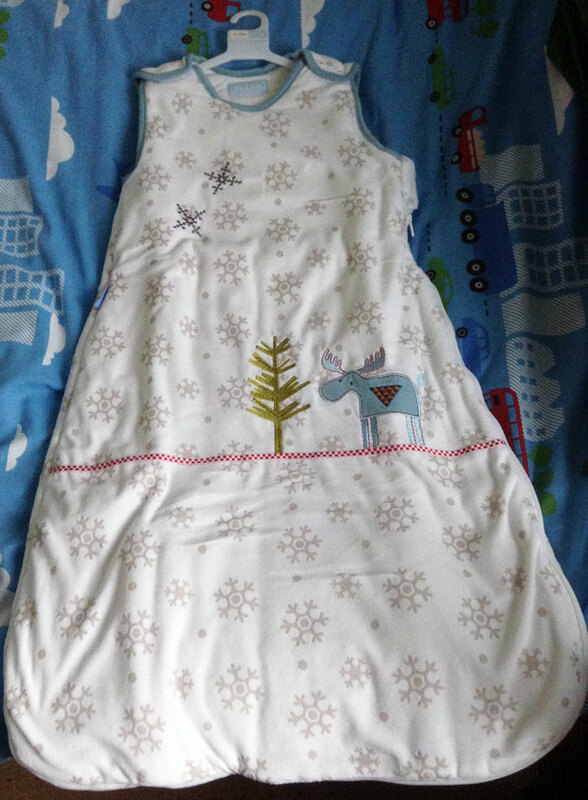 The fabric is cosy velour on the outside with pretty snowflakes and an embroidered tree and a moose (perfect for a half Swedish baby like ours!). The inside fabric is 100% cotton jersey and very soft. The Grobag has double poppers on the shoulders and a zipper on the side that goes around to make it open flat, which is good when you are trying to change a nappy without waking your baby. The zipper has a cover so that your baby can’t open the bag up. This size does not have underarm poppers which is something I miss from the smaller size. Having underarm poppers means you can use the bags for longer since you can make the bag more snug for smaller babies so that their heads can’t pop out. There’s probably a reason why the bigger sizes don’t have them though. The bag is machine washable (40 degrees) and can be tumble dried (low heat). 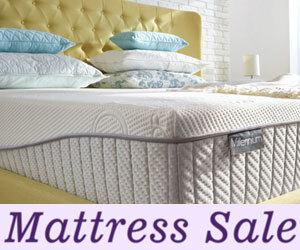 The filling is made from quick-dry polyester. Very practical! This Grobag feels very warm, nice and comfortable. The quality is great, just like our previous Grobags. I have sometimes wondered why baby sleeping bags don’t all come with (detachable) sleeves to make them even better and more adjustable to different temperatures. Then I read on Gro.co.uk that Grobags are “purposely not made with sleeves in order to comply with British Standards. Without sleeves Grobags aid heat loss and air circulation so baby doesn’t overheat”. 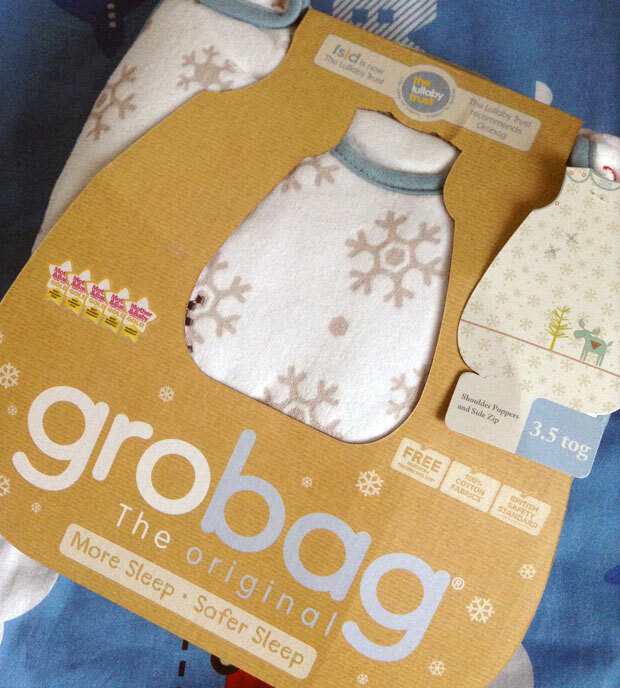 The Gro Company have solved this need by creating Gro-suits that are sleepsuits with padded sleeves to use with Grobags when it is really cold. They look great! I love this unisex design called “Mr Moose”. It’s available to buy from the Gro-Store for £37.99. Check out the other design for 3.5 tog Grobags here. All Baby Grobags in 0-6 and 6-18 month sizes come with a free nursery thermometer, user guide and safe sleep information. 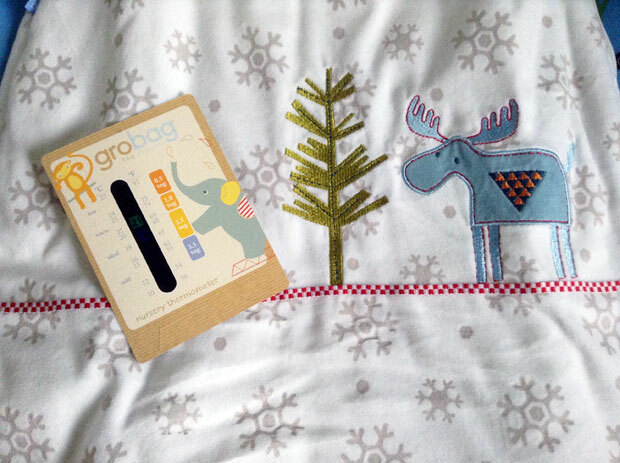 This 3.5 tog Grobag (in this design especially) would make a lovely Christmas present for a baby. 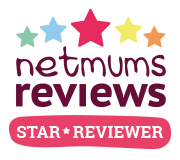 You can buy Grobags from Amazon.co.uk, the Gro-store and other good baby shops. We were sent this Grobag for this review. As always, my reviews are 100% honest and all thoughts and opinions are my own.